Carrot Cheddar Bread Pudding Recipe | Winners Drink Milk! Whether you’re hosting, traveling, or staying in for Thanksgiving, a hearty meal is an absolute must! This year, the American Dairy Association Indiana wants to help you prepare by sharing some of our Thanksgiving favorites. Feel free to save, make, and share our dairy-based recipes with your family & friends! After you’ve prepared a recipe from our blog, don’t forget to share it on social media using the hashtag #MilkMade2017 to show off your dairy-inspired creations this Thanksgiving! Preheat the oven to 400 degrees.Microwave the carrots in a tightly covered 8-cup glass measure with 1 cup water on High 4 minutes. Sauté the onion, garlic, marjoram, nutmeg and pepper in the olive oil in a large skillet. Drain the carrots thoroughly; coarsely chop. Stir the carrots, pineapple and cranberries into the onion mixture. Place the bread in a large bowl; stir in the carrot mixture and mix well. Whisk the eggs until frothy in the 8-cup glass measure; whisk in the milk. Spoon half the bread mixture into a 13×9-inch baking dish coated with vegetable cooking spray. Top evenly with half the cheese and half the walnuts, then remaining bread mixture, cheese and walnuts. Pour the milk mixture evenly over the top; press down gently. Cover with aluminum foil. Bake 40 minutes; remove the foil and bake 10 minutes longer or until a wooden pick inserted in the center comes out clean. Makes 12 servings. 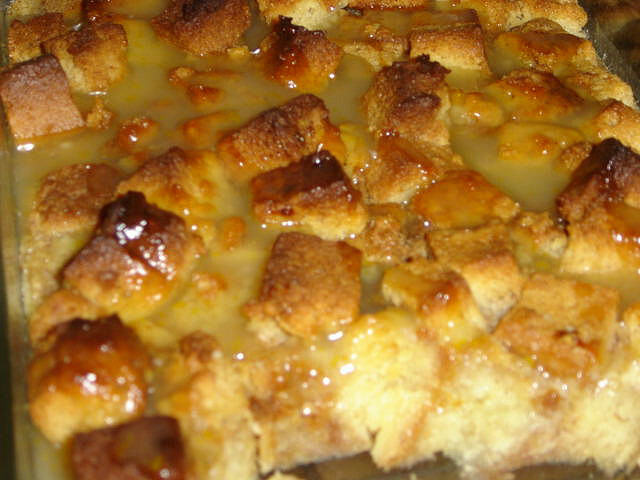 Make-Ahead Tip: Prepare the bread pudding; cover and refrigerate overnight. Bake as above, increasing the covered baking time to 50 minutes.